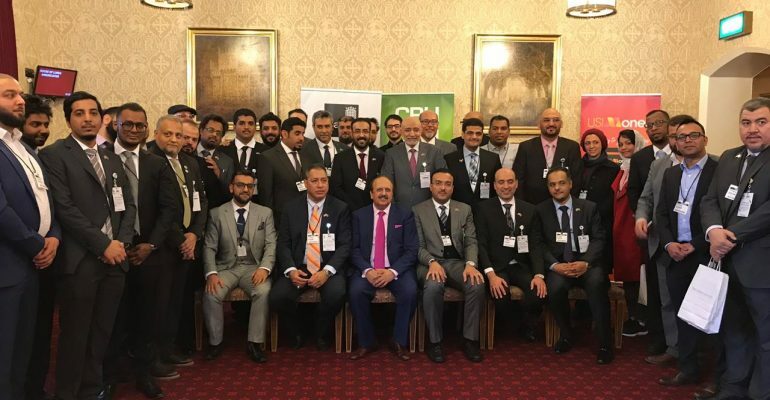 Lord Qurban Hussain on behalf of the All-Party Parliamentary Group on Hajj & Umrah hosted the Makkah Chamber of Commerce Delegation of over 40 diverse businesses from Makkah, Saudi Arabia at a private reception in the House of Lords. Lord Hussain welcomed the delegates to London and talked about the growing number of British pilgrims undertaking the Muslim pilgrimage of Hajj & Umrah and the need for UK and Saudi companies to work together to serve the faithful. 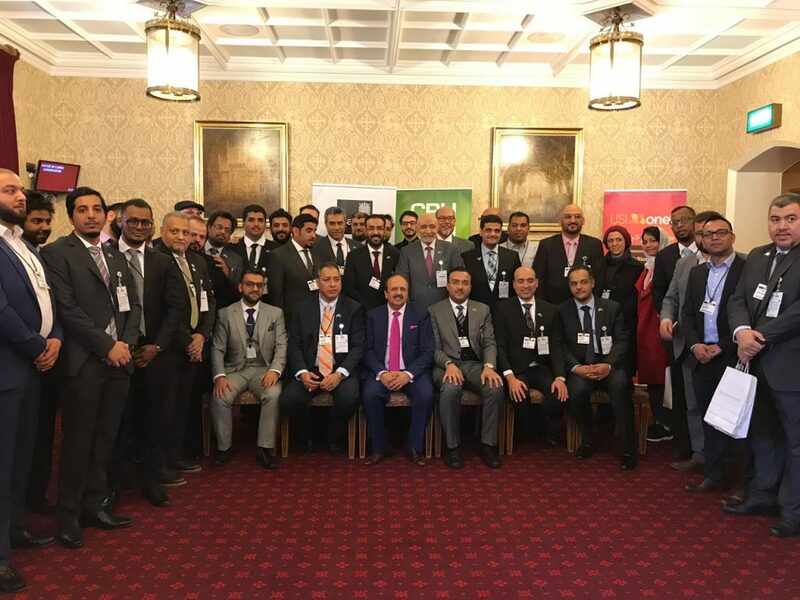 Rashid Mogradia, CEO of CBHUK and the Secretariat to the APPG said “It is an honour to host such an array of businesses from the holy city of Makkah. It’s important to work alongside the Makkah Chamber and its members to offer the best service to British pilgrims and look at innovative ways in which we can work together with key stakeholder and towards the Kingdoms’ Vision 2030 of increasing pilgrim numbers and enhancing the pilgrimage experience”. Mr Hisham Kaaki Chairman of the Makkah Chamber thanked the APPG for hosting the delegation. He said “We have come from Saudi Arabia, the city of Makkah and the heart of the Muslim World where over a billion Muslims from around the world seek to visit and perform Hajj & Umrah. One of Saudi Arabia’s top policy objectives embodied in the 2030 vision is to increase the number of pilgrims, improve the quality of services and enrich their (pilgrimage) experience by launching strategic and private initiatives offering promising investment opportunities in many sectors”. Mr Marwan Shaaban, Vice Chairman of the Makkah Chamber and Chairman of the National Committee for Hajj & Umrah said “The increase in the number of pilgrims offers a promising opportunity for investors. We would like to work with the APPG on Hajj & Umrah in ensuring the highest level of service for pilgrims is delivered”. He invited the APPG to visit Makkah to start cooperation and planning for Hajj. The reception was organised by CBHUK and its sponsors USI Money, Usoft Solutions, Kaspas Desserts and Steakout. CBHUK (the Council of British Hajjis) is a multi award winning UK Hajj & Umrah charity and the Secretariat to the All-Party Parliamentary group on Hajj & Umrah. There are more than 200 joint ventures between Saudi and British Companies valued at $17.5billion or £10.8billion pounds. Saudi Arabia is Britain’s main partner in the Middle East. Makkah has a population of 2.1 million and has a annual growth rate of 1.9% per annum. Makkah achieved approx 168.7billions riyals in 2018, 13% higher than previous year. It (Makkah) aspires to become one of the twenty richest cities in the world by 2030. The increase in the number of pilgrims to the Kingdom opens promising opportunities for investors. 1.8 billion Muslims make up around 24% of the world’s population. Islam is the fastest growing religion in the world. The number is expected to rise to approx 2.2billion by 2030. Saudi Arabia’s general income is directly influenced by the Hajj & Umrah Sector.